"This is critical, as it is the first observation of a Precambrian-like banded iron formation that is Early Cambrian in age. This offers the most conclusive evidence for the presence of widespread iron-rich conditions at a time, confirming what has recently been suggested from geochemical proxies," said Kurt Konhauser, professor in the Department of Earth and Atmospheric Sciences and co-author. Konhauser supervised the research that was led by Zhiquan Li, a PhD candidate from Beijing while on exchange at UAlberta. The Early Cambrian is known for the rise of animals, so the level of oxygen in seawater should have been closer to near modern levels. "This is important as the availability of oxygen has long been thought to be a handbrake on the evolution of complex life, and one that should have been alleviated by the Early Cambrian," says Leslie Robbins, a PhD candidate in Konhauser's lab and a co-author on the paper. The researchers compared the geological characteristics and geochemistry to ancient and modern samples to find an analogue for their deposition. The team relied on the use of rare earth element patterns to demonstrate that the deposit formed in, or near, a chemocline in a stratified iron-rich basin. 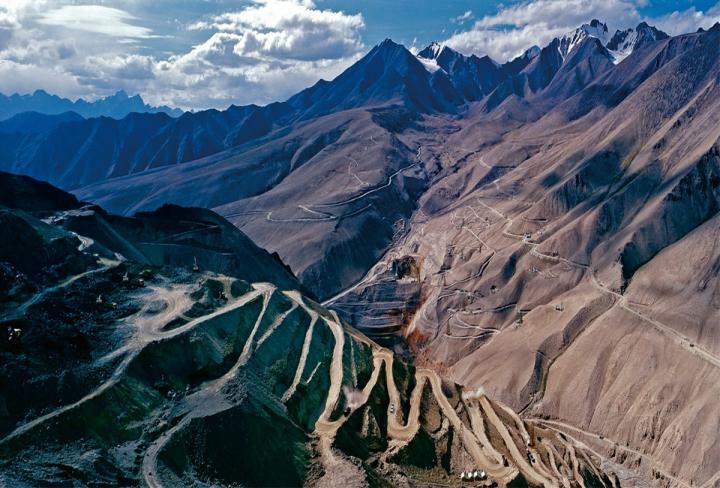 "Future studies will aim to quantify the full extent of these Cambrian banded iron formations in China and whether similar deposits can be found elsewhere," says Kurt Konhauser. The paper, "Earth's youngest banded iron formation implies ferruginous conditions in the Early Cambrian ocean," was published in Scientific Reports (doi: 10.103841598-018-28187-2).